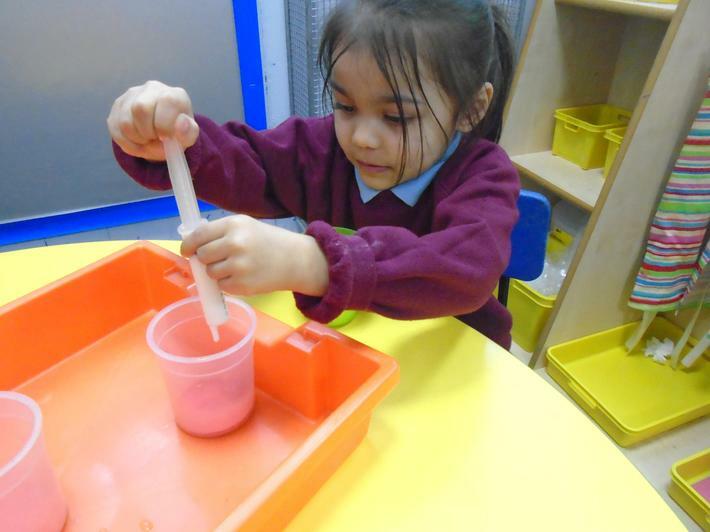 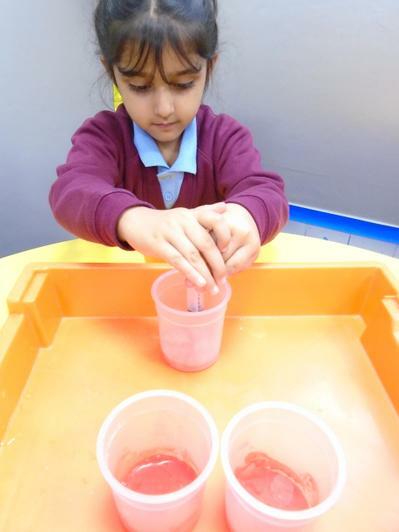 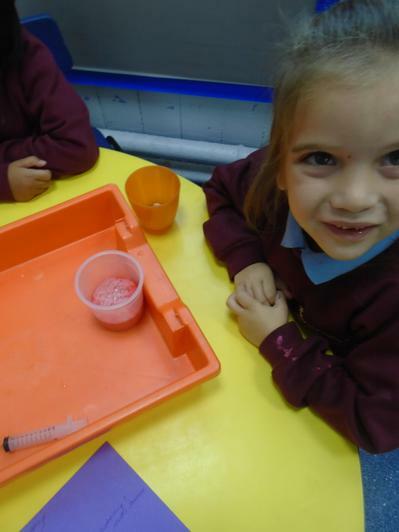 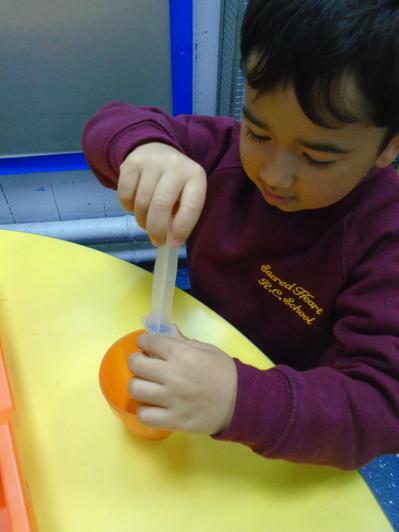 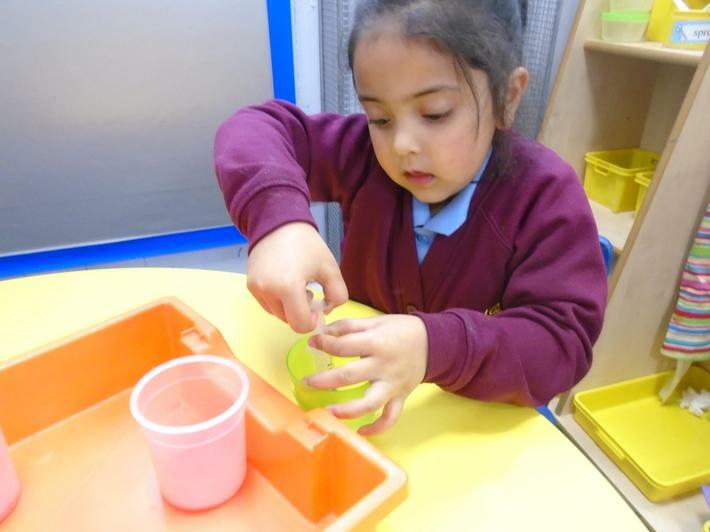 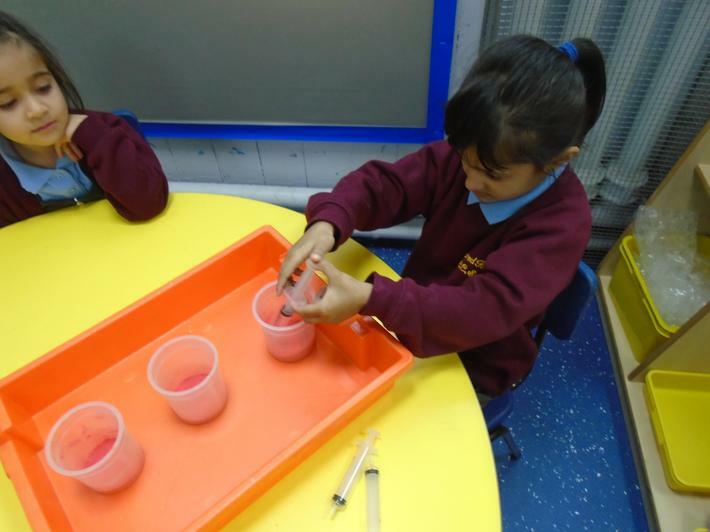 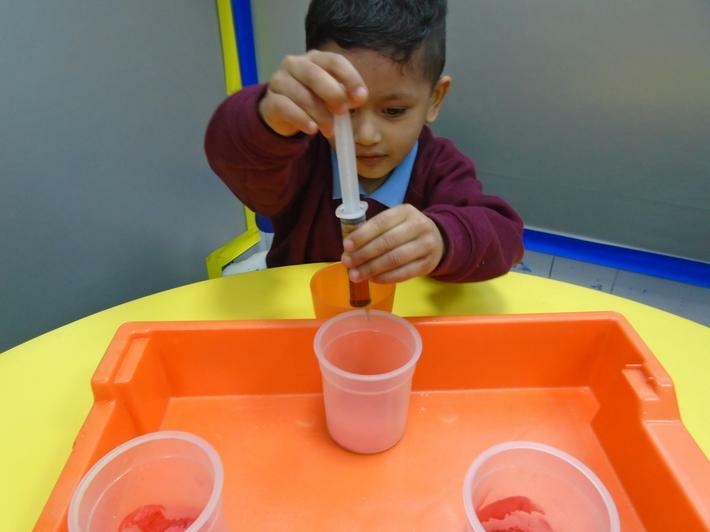 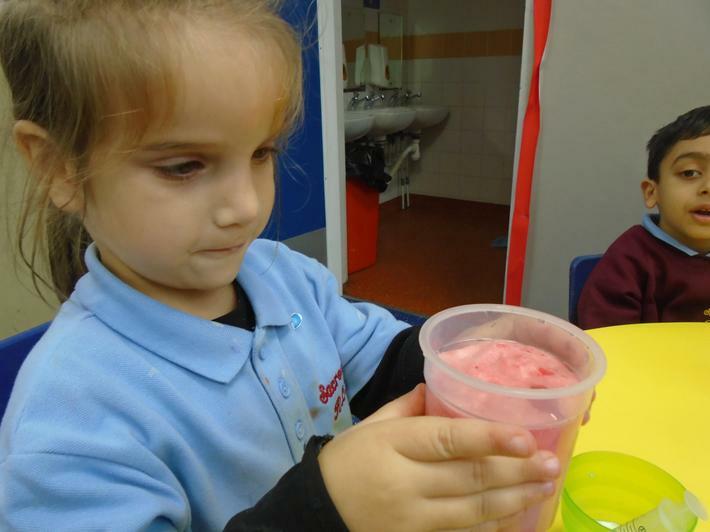 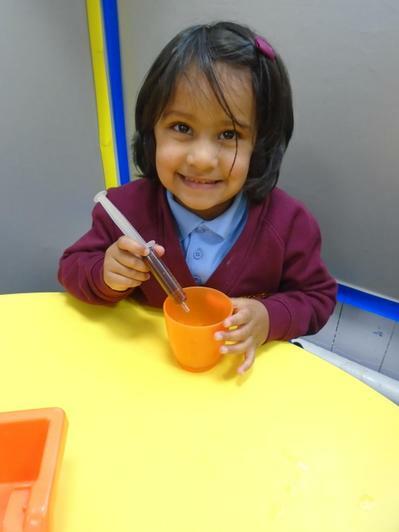 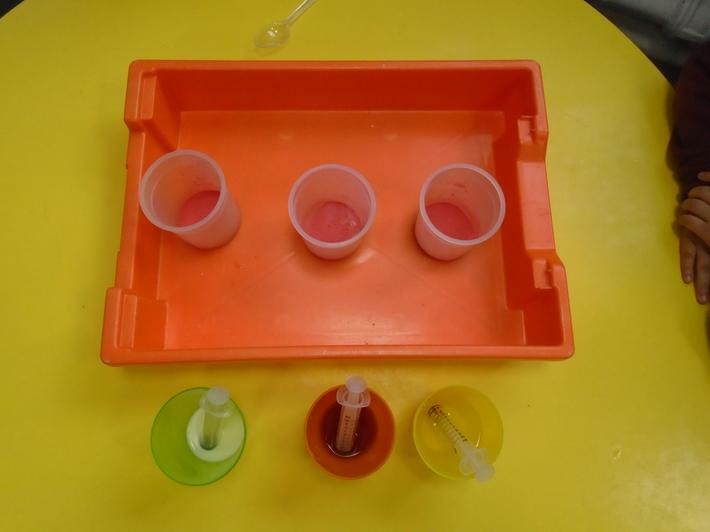 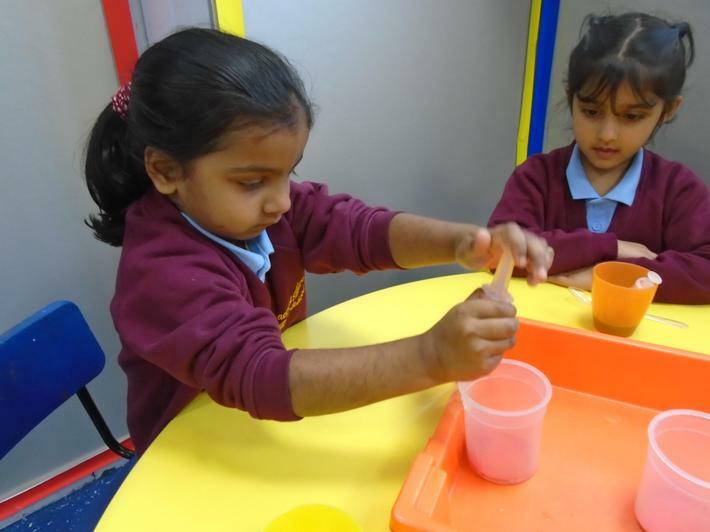 We carried out an experiment where we added different liquids to a mixture of bicarbonate of soda and red powder paint. 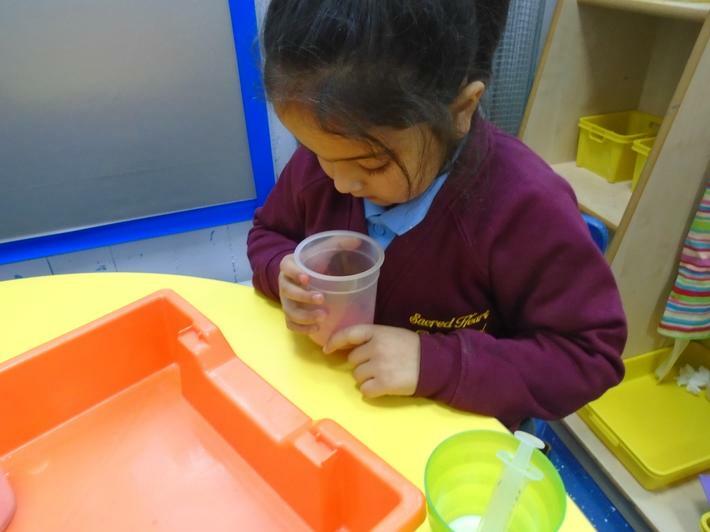 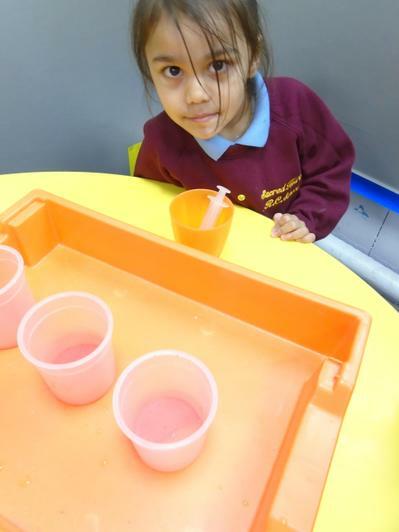 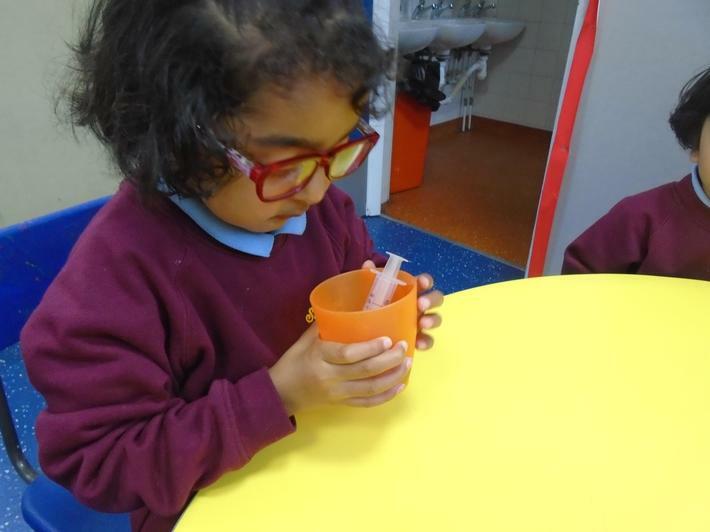 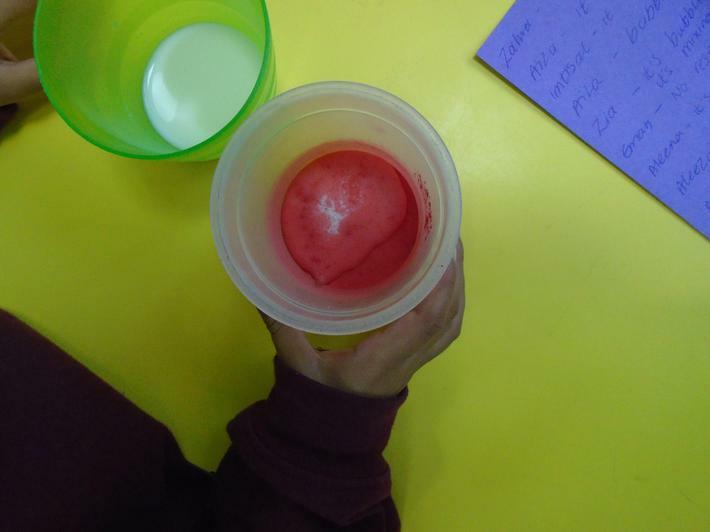 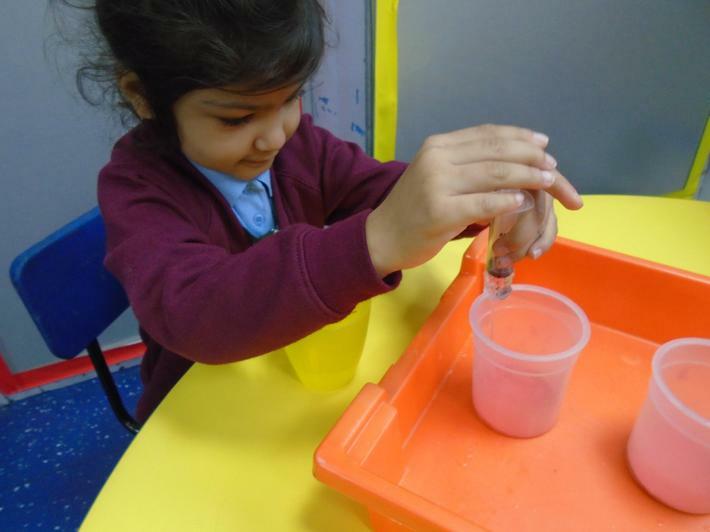 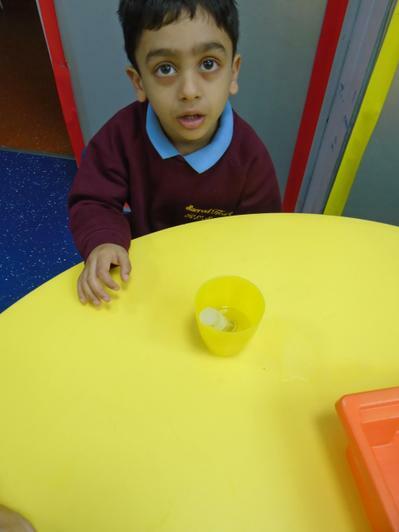 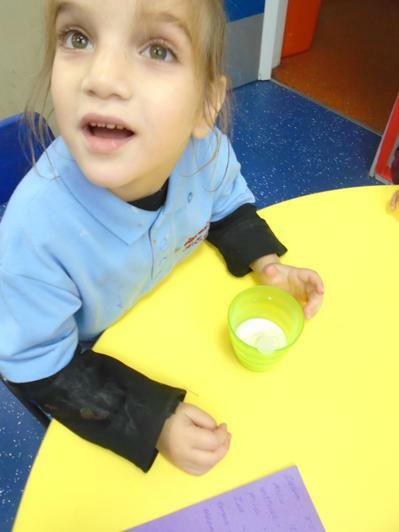 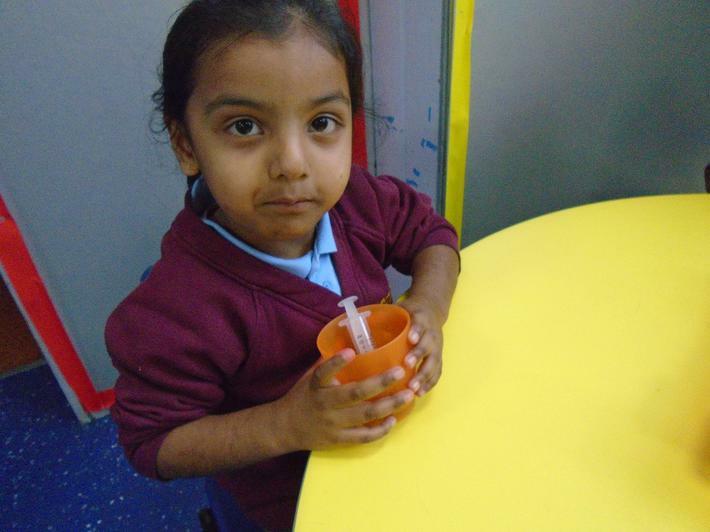 We tried adding milk, water and vinegar and then watched to see what happened. 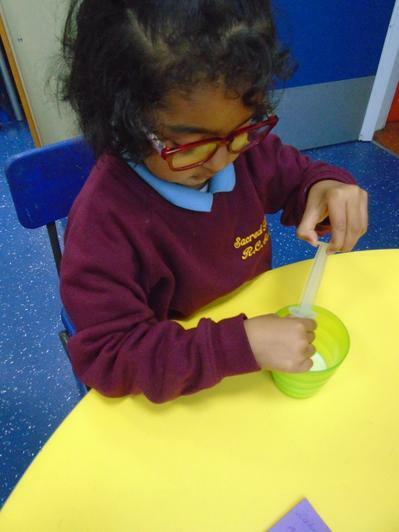 We found out that we only got a reaction when we added the vinegar. 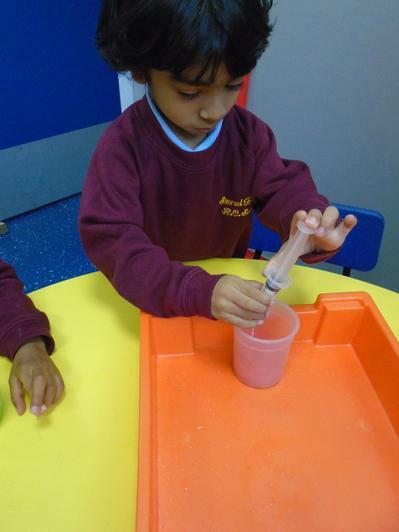 When we added vinegar the mixture bubbled and nearly came over the top of the container.